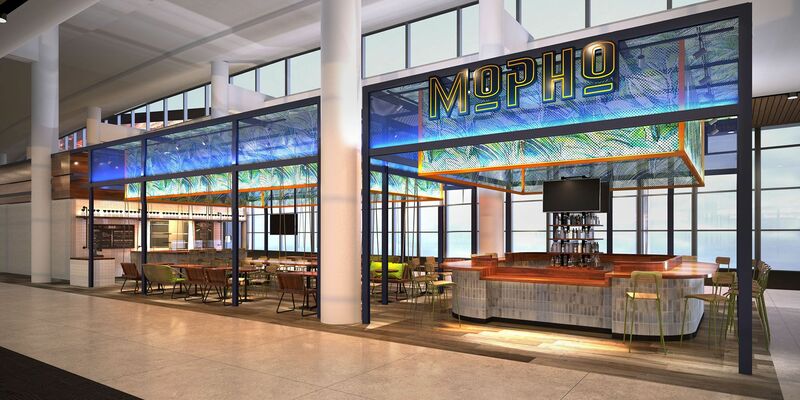 A new food & beverage environment at Louis Armstrong International Airport will “highlight New Orleans brands with national and local notoriety”. That’s according to New York design firm Icrave, which has exclusively shared details and artist impressions of the project with The Moodie Davitt Report. 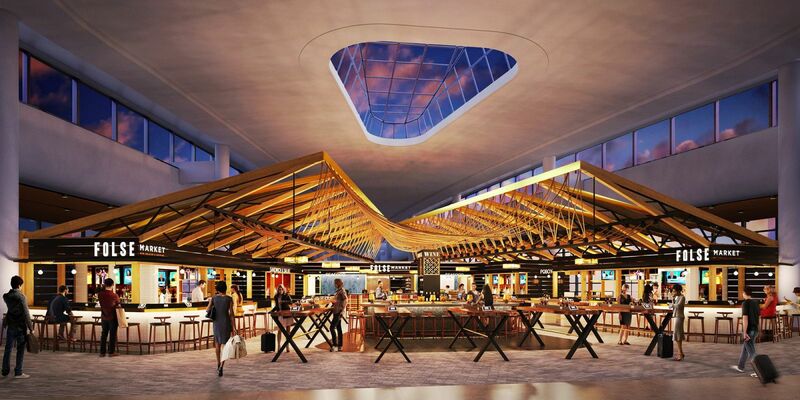 The 20,400sq ft F&B area will open as part of a new US$1.029 billion terminal on 15 May. The designers were appointed in 2016 by concessionaire Delaware North to create an F&B programme that celebrates the bars, eateries and cuisines of New Orleans. Eight brands have standalone space and three others are grouped in an area named Nola Food Court, which has 817sq ft of communal seating. Icrave said that the design aesthetics are personal to each brand, “yet cohesive in their acknowledgement of the character of New Orleans”. 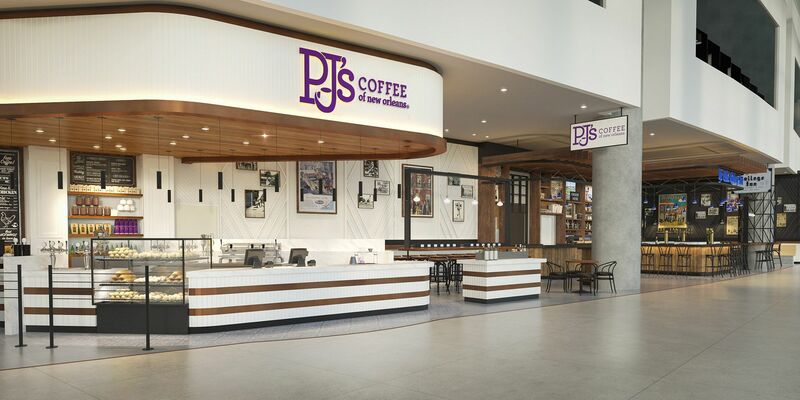 The design firm integrated technology into the scheme through self-service kiosks and has introduced grab-and-go coolers, for travellers wanting to keep their pre-packed food and drink chilled. 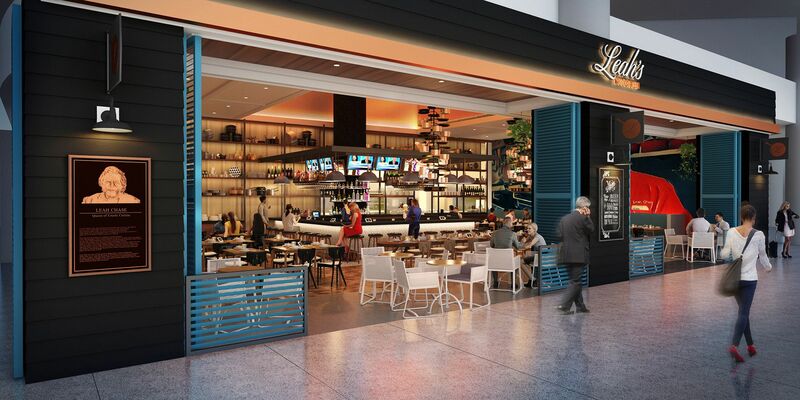 Icrave has previously completed F&B projects at North American airports including Washington Ronald Reagan, Toronto Pearson, New York JFK, Los Angeles and Philadelphia. 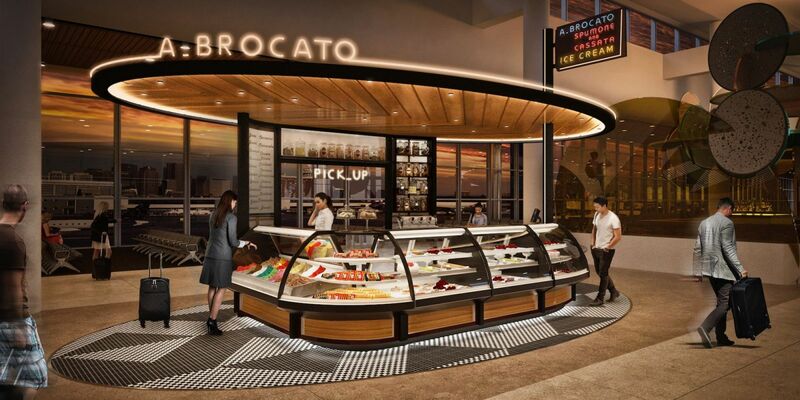 Here, Icrave Founder and CEO, Canadian-born designer Lionel Ohayon, offers insight to the design thinking behind each new F&B venue. “John Folse Market takes the traditional simple architecture of the trapper’s shack and pulls it apart, cracking it open to expose true New Orleans-style cooking. Chef John Folse has spent his life refining and modernising and sharing New Orleans cuisine with the world. This space will do the same, giving travellers a taste of true swamp-to-table and farm-to-table local cuisine. “To highlight the legacy of Leah Chase’s legendary career and her love for food and community, Leah’s Kitchen captures the spirit of Creole cuisine by bringing forth the ‘kitchen’ – a space critical to Leah’s success, as the main backdrop of the restaurant. Large graphic walls featuring Leah’s portrait by a local artist set the tone for a warm and inviting dining experience. “City Greens has a whimsy and playful voice with a serious stance on food. Light-hearted finishes paired with clean lines and a monolithic serve line bring just that. 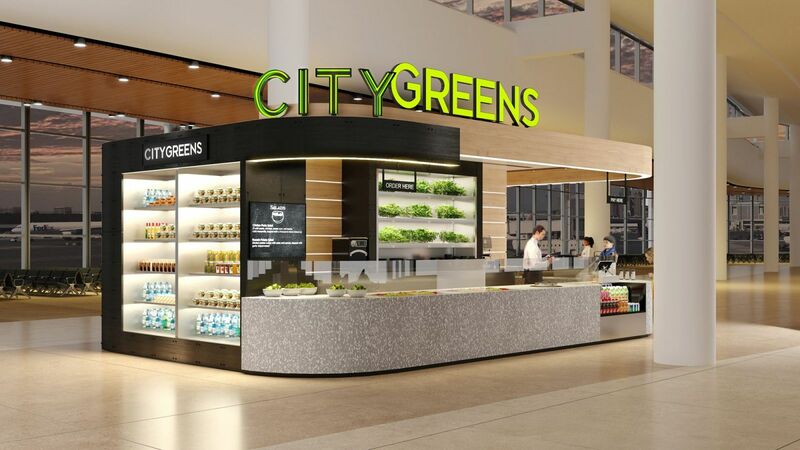 Large Grab + Go cases displaying pre-made salad and wrap selections are front-and-centre as passengers head down the concourse. 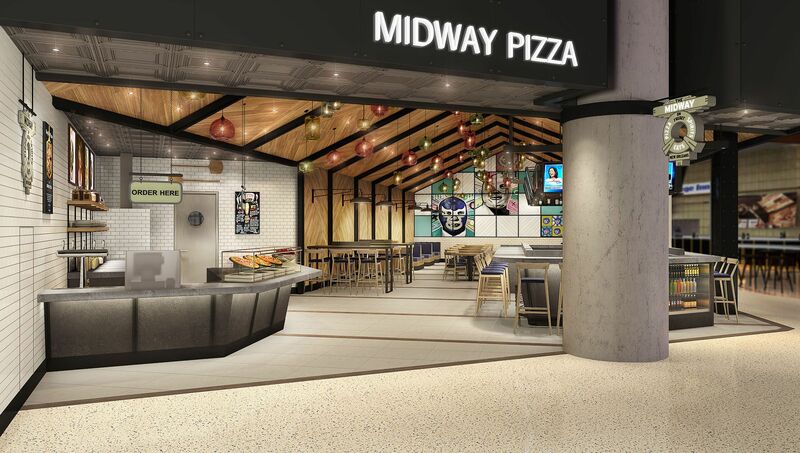 “Midway Pizza is bringing an authentic taste of deep-dish pizza and its vibe to the airport. 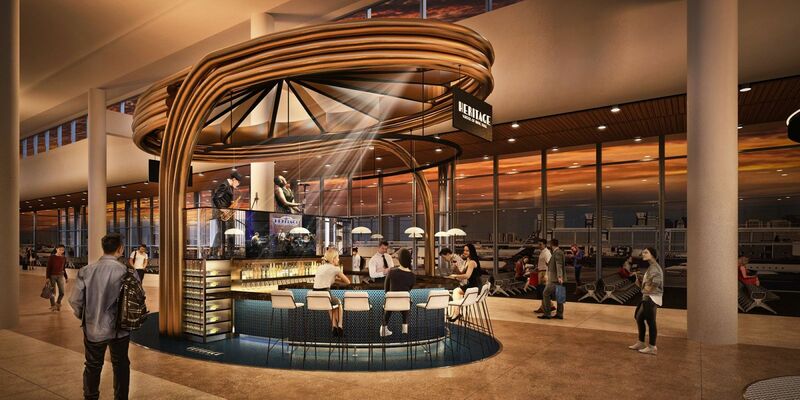 Travellers heading from security will first notice the industrial-like bar and the dynamic shape of the pitched roof with black metal frame and rivet details. “This draws one’s eye to the far end of the dining room where colourful and humorous local art designs and angled white painted wooden panels form the backdrop of the space. A pizza oven hovers at the near corner, hugged by a bar that provides full view of the pizza-making action while also incorporating a quick-serve counter. “Angelo Brocato’s has served traditional Italian ice cream in New Orleans for over 100 years. This small kiosk design is inspired by traditional Italian storefronts and the original location using the iconic neon signage. The material palette is classic and somewhat simple from the marquis lighting to the chevron patterned wood ceiling. The ceiling will fit in nicely with the beautiful terminal around it. “Bar Sazerac, a dynamic 1930s, art deco-esque colonnade pulls travellers from the concourse into a cosy and glamorous bar, inspired by the grandeur of old New Orleans. 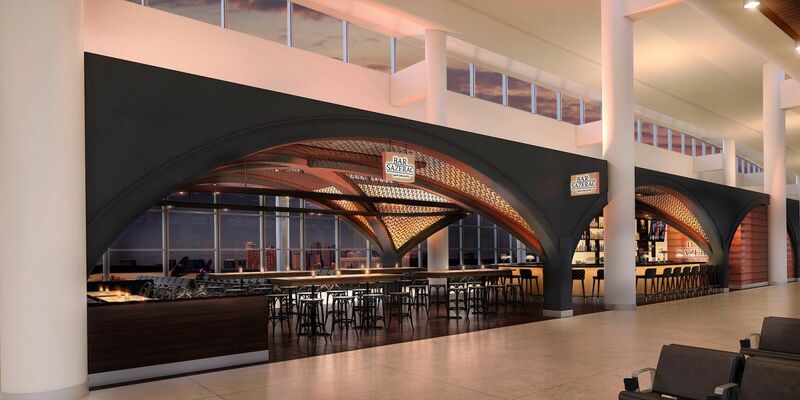 No visit to New Orleans is complete without sampling the city’s official cocktail, The Sazerac, and now passengers can do so before they even leave the airport. 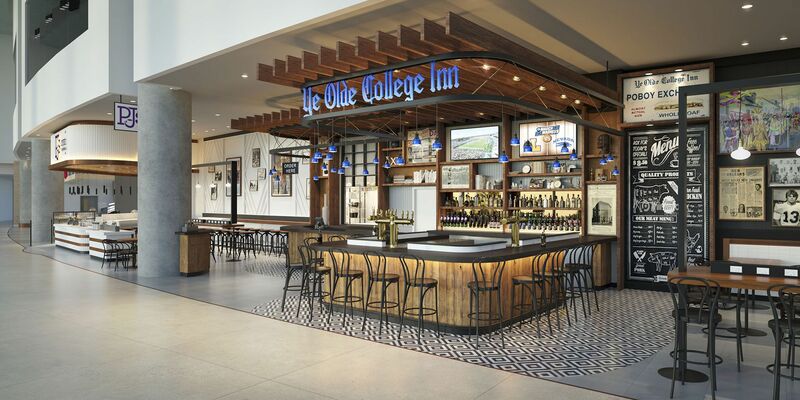 “Approachable and honest: these are the two best ways to describe Ye Olde College Inn (YOCI). With an updated and elevated wood pergola that calls to mind the metal and wood plank ceiling that shelters customers at its existing Carrollton location, YOCI gives off a comfortable, residential feel that will be a welcome respite tucked away from the bustle of the main terminal corridors.